This project caused bit of controversy on our Facebook page, with varying opinions on whether the use of the fire service’s money was best spent buy building this car. This got our minds racing as to which way we should take this car. Of course it had to sound good and while we were at it why not put an iPad in the dash (it’s becoming what we are known for after all). The next conversation we had was about the style of audio the car would have. Being as the car is built to draw a crowd the logical step was to build something LOUD. 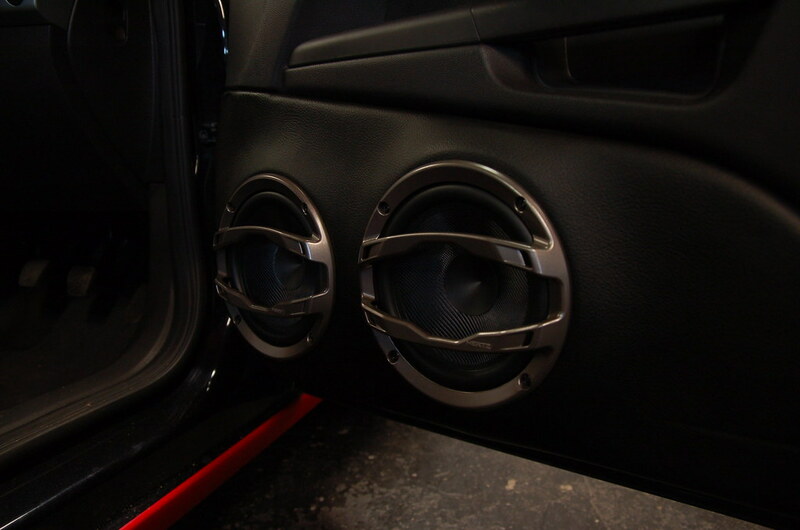 Nothing draws a crowd like a car with the SPL (Sound Pressure Levels) to be able to make the roof vibrate. 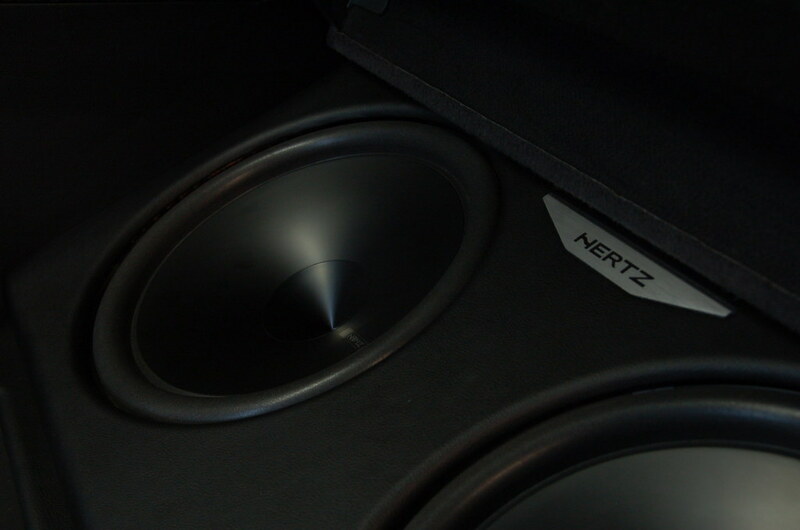 The Hertz High Energy range was chosen to give the desired effect. As with all big sound cars we had to go a bit crazy with sound deadener and Skinz Expert was chosen with 3 full bulk packs as well as a full pack of Skinz Damper. 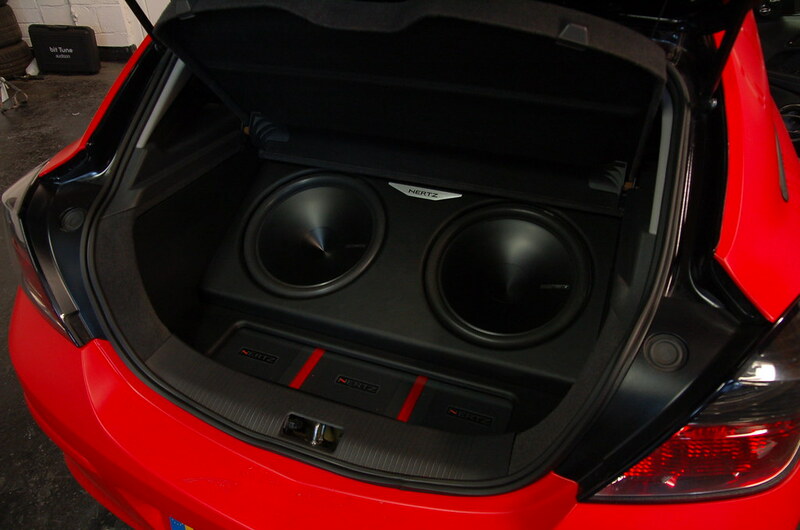 2 15” High Energy HX380D Subwoofers are fitted in the boot each with their own Hertz HCP1D powering them. 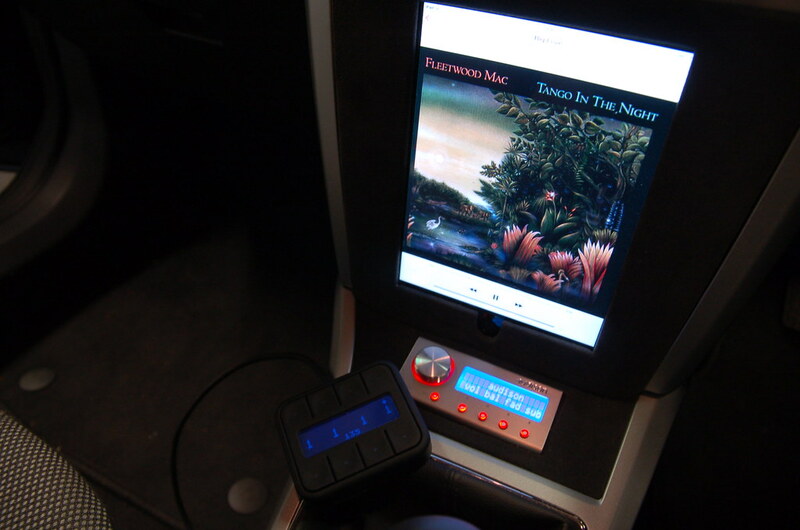 The audio is all being controlled by an Audison Bit 10D processor with the iPad running fully digital. All the cables used throughout the car were connection best range. The doors have had a major reconstruction job. 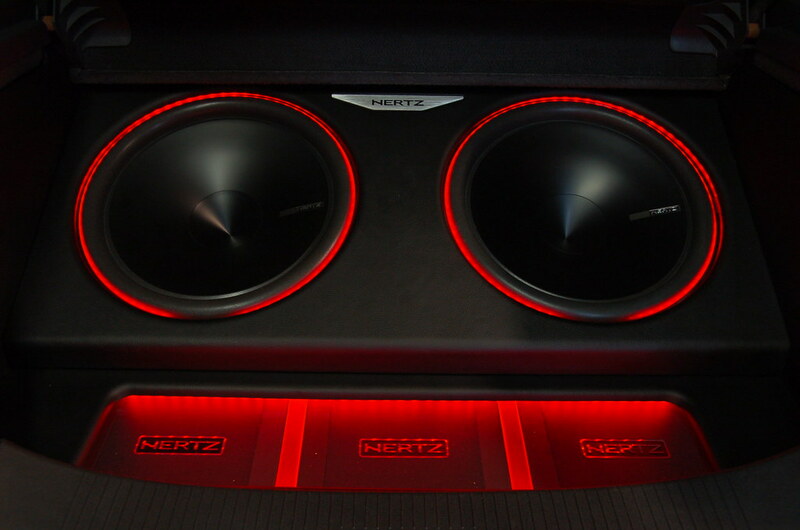 The bottom of the door was cut off reshaped, and a housing for 2 sets of Hertz High Energy 165’s built. 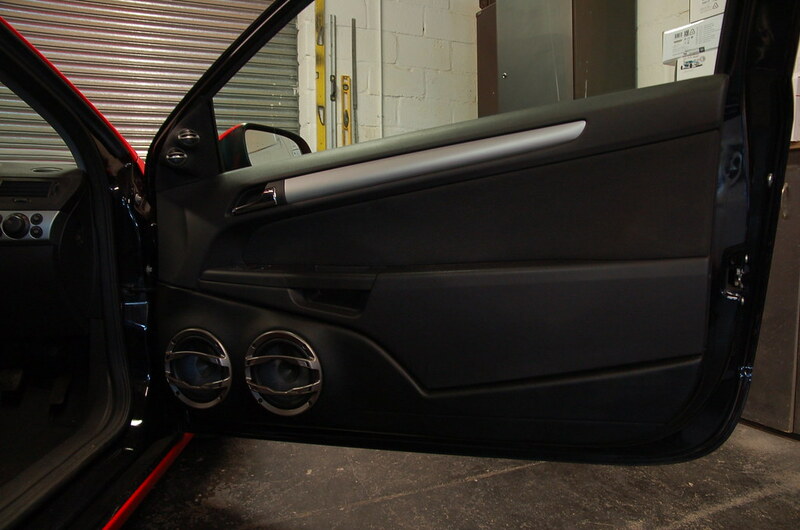 These were then filled and re trimmed in a vinyl to keep with the look of the interior. These speakers vent into the door using it as an enclosure (like you would have for a subwoofer) giving the maximum output. After all the name of the game here is attraction of people. 2 Tweeters from the High Energy 165 kit were moulded into the sail panels and then trimmed to complete the door setup. 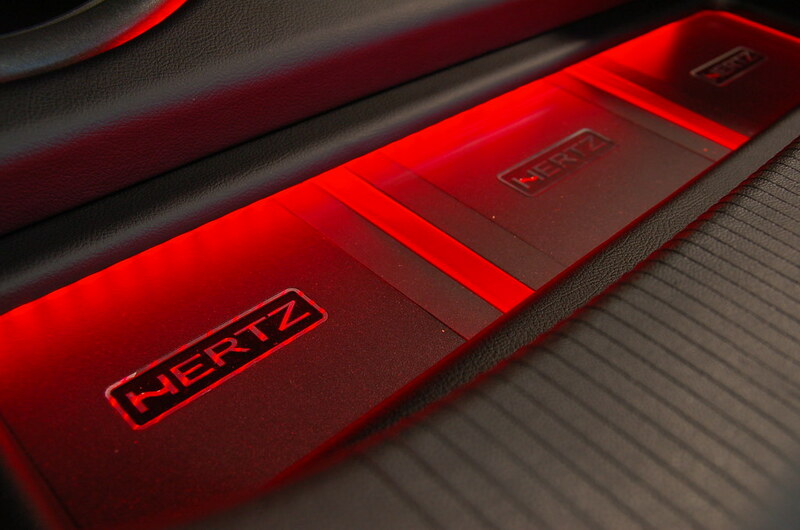 These are being powered passively (using crossovers) buy a Hertz HCP4D. Due to the shape of the dashboard in the Astra the iPad was mounted vertically with the heater controls moved to the glove box. 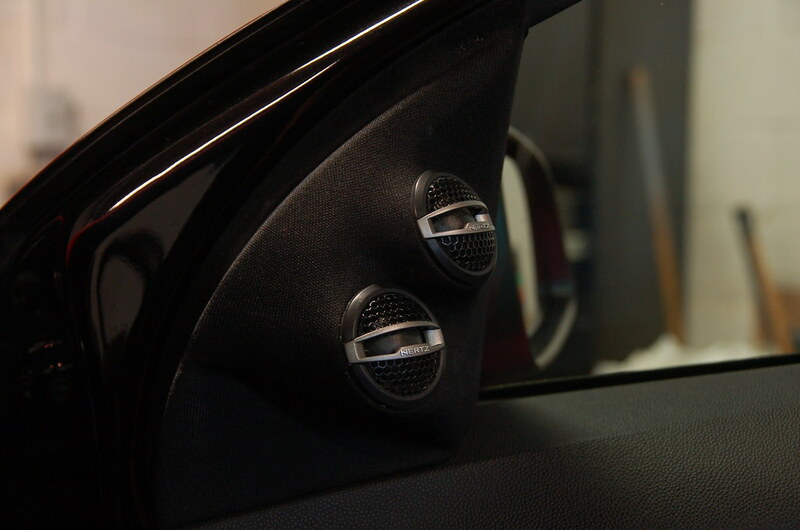 The DRC (Master Volume, L-R balance, Subwoofer Control and Pre-set Selection) has been mounted where the factory ashtray once was. This give the driver fingertip control at all times. 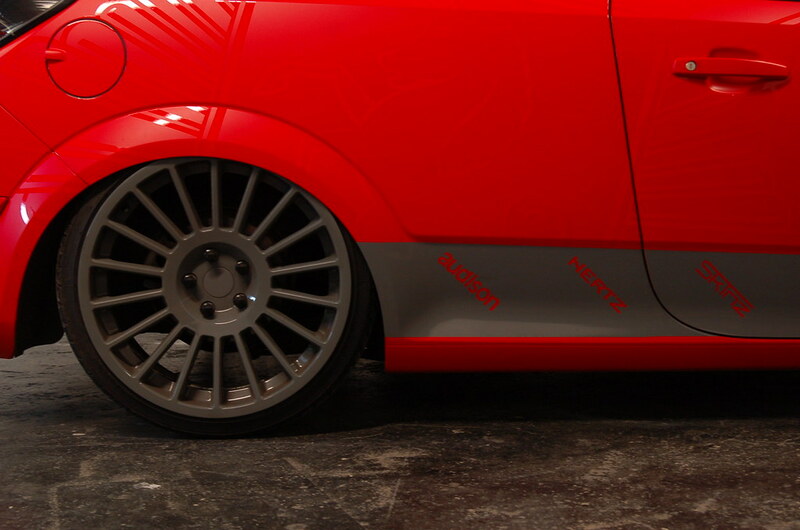 After the audio stance and wheels were next on the list. Wheels wise we knew there were 2 options and luckily we had a car with each wheel on in the workshop. This meant we could trial fit and decide exactly what we wanted. Rotiform’s Cast IND were chosen, a set was sourced and our good friends over at The Wheel Specialist Fareham sorted out the colour coding for us. Stance with impact. 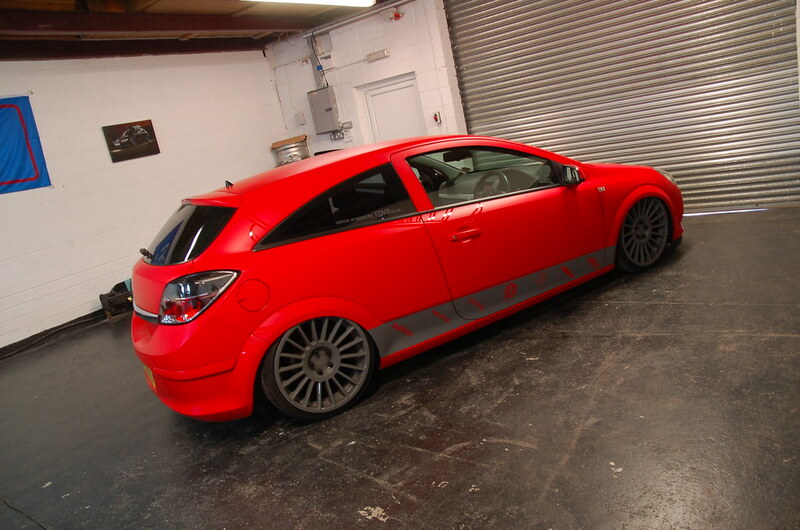 We wanted the car to sit low and one of the reasons James chose to come to us was after seeing some of our air installs we had done recently. Air was the right way to go with this car adding a bit more theater to the car and hopefully pulling in more of a crowd. 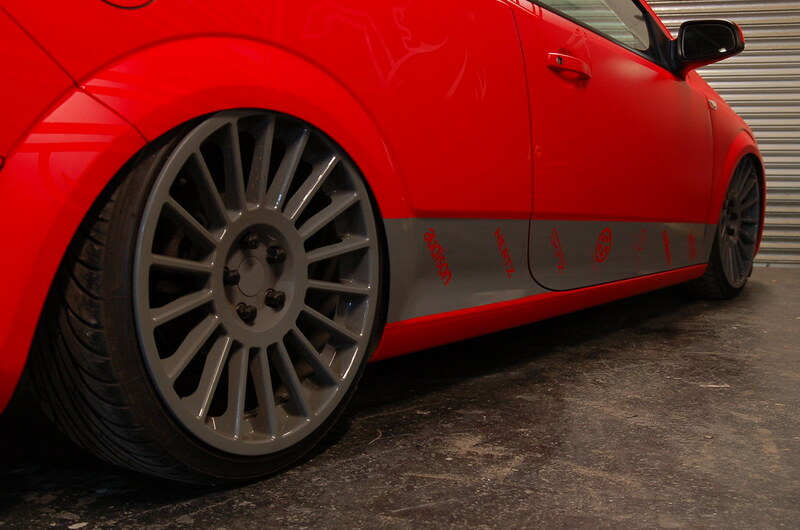 The car is running Air lift Auto Pilot V2 and a custom selection of Airlift struts and bags. Twin compressors were used to give a quick recharge time. It took us a while to get the car sat just how we wanted it, with some modified rear arms and anti-roll bar adjustments. But now with the wheels and on full drop it looks great. Even managing to tuck a good inch of the front rim (on a 19” wheel). 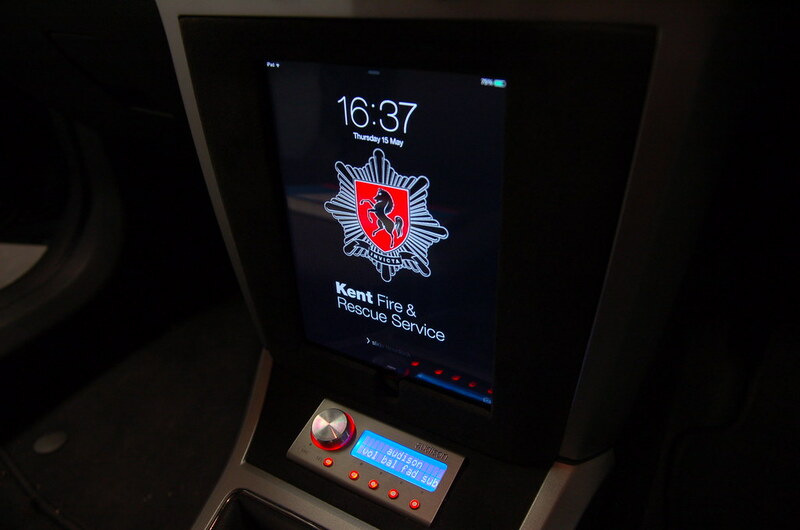 RGVA are a company used by Kent Fire and Rescue Service and they wanted them to do the wrap on the car. They have done an awesome job. We drew up a rough render and supplied them with the logos of the brands we have used as a bit of a nod to their help with the project. 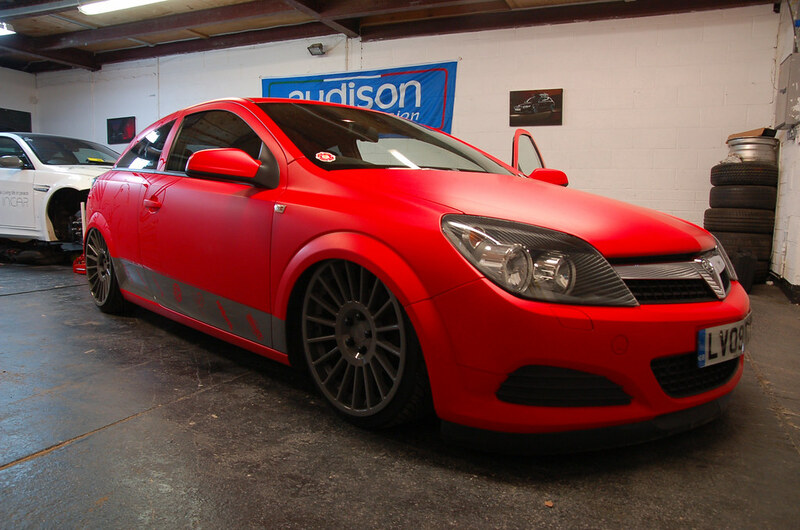 The satin red and gloss grey complement each other and give a great overall effect. Here are some more pictures of the finished product. We have already had some good reactions to the car, Even at our workshop locations it had people coming out of the buildings around to see where the music was coming from. We would just like to thank a few of our business partners Four Car Audio, Design 4 Automotive, The Wheel Specialist Fareham, Autobarn VW Specialists, Air Lift, Rotiform, Hertz, Connection and Audison for all their help on this project.